If you or your kids suffer from allergies, I’m sure you want to know how to best manage them. In addition to limiting exposure, medications can be a big benefit. Treatment of allergies can be directed by new guidelines. These guidelines cover the initial medical treatment of seasonal allergies in people 12 years and older. The American Academy of Allergy, Asthma, and Immunology and the American College of Allergy, Asthma, and Immunology (AAAAI and ACAAI) have published new guidelines in the Annals of Internal Medicine for the initial medical treatment of seasonal allergies in people 12 years and older. In moderate to severe allergic conditions, a combination of nasal steroid and nasal antihistamine can be considered. These recommendations are based on a review of many studies to show what treatments worked and what didn’t. They also took into consideration the fact that oral antihistamines can cause sedation and the nasal antihistamines do not. In general the nasal steroids worked better than other treatments. They did note that for people who do not tolerate nasal sprays, alternates would be oral antihistamines or leukotriene receptor agonists. 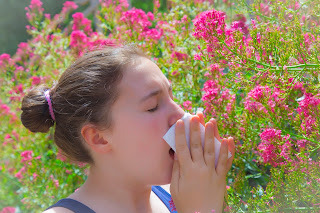 I have a new blog on the general identification and treatment of allergies. Check out Spring is Here! Next Next post: Menthol for Sore Throat, Colds and Coughs… Should we use it?